It’s nacho fault if you’re craving Mexican food today. November 6 is National Nachos Day! 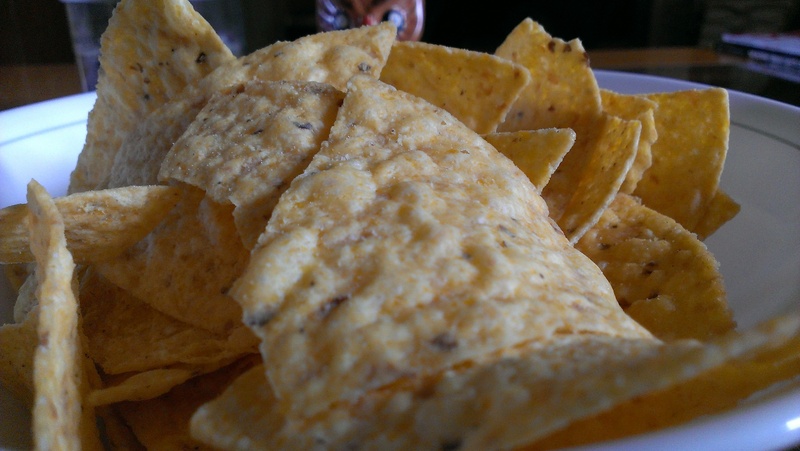 Unlike many of the foods we have celebrated, there is no confusion over who invented nachos. That honor goes to Ignacio “Nacho” Anaya, a restaurateur in Piedras Negras, Coahuila, Mexico, just across the border from Eagle Pass, Texas. In 1943, a group of soldier’s wives on a shopping trip across the border entered Anaya’s restaurant, El Moderno, after it had closed for the day. Pissed that he hadn’t yet locked the door, Anaya was nevertheless gracious to his gringo guests, and put together a snack with the few ingredients he still had left in his kitchen: tortillas, which he cut into triangles, and shredded cheddar cheese. He heated them up until the cheese melted, added sliced jalapenos, and served them to the grateful group. One of the women nicknamed the dish “Nacho’s Especiales.” They raved over it, and word spread throughout Texas and the Southwest. Over time the apostrophe was dropped, and “Nacho’s Specials” became “special nachos” and then, simply, nachos. Anaya died in 1975 and a plaque was erected in Piedras Negras. El Moderno still serves Anaya’s original nachos to this day. Arlington Stadium in Texas began serving a modified version of nachos with a prepared cheese sauce in 1976, and broadcaster Howard Cosell further popularized them by mentioning the dish frequently in his football telecasts over the next few weeks. 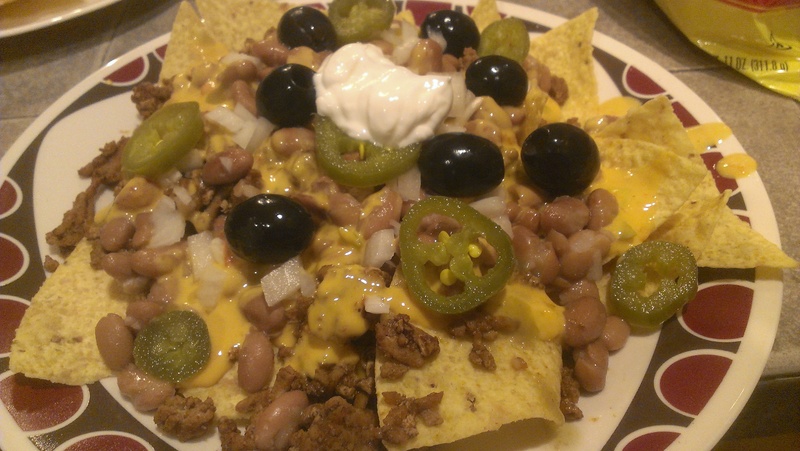 Nowadays, nachos can be as simple as Anaya’s original snack, or complex and loaded with a variety of toppings including meats, beans, vegetables, salsa, and sour cream. To celebrate, we made nachos-for-dinner. As opposed to nachos-for-an-appetizer. We used seasoned ground turkey, pinto beans, cheese, onions, black olives, jalapeno slices, and sour cream. The result? Muy bien! The only food holiday today is, thankfully, devoted to humans. February 24 is National Tortilla Chip Day. Viva la celebracion! People often use the terms “corn chips” and “tortilla chips” interchangeably, but as I explained during National Corn Chip Day last month, there is a difference: though both are made from corn, tortilla chips go through a process called nixtamalization, in which they are soaked and cooked in an alkaline solution such as quicklime, making them thinner and crispier. This process was first developed by the ancient Aztecs and, while I could go into a long and scientific explanation over how it is crucial in converting bound niacin to free niacin and preventing a vitamin deficiency disease called pelagra, I’d probably just scare you away from Fritos, which do not go through the same process, and I don’t want to do that because corn chips are tasty, too! Credit for the invention of tortilla chips goes to Rebecca Webb Carranza, who owned a tortilla factory with her husband in Los Angeles. Tired of the tortillas rejected by the automated tortilla manufacturing machine going to waste, she took these scraps, cut them into triangular shapes after her first choice – pentagrams – proved too controversial and her second choice, octagons, too complicated. She fried them up and sold them for ten cents a bag. In 1994, Carranza received the prestigious Golden Tortilla Award for her contribution to the Mexican food industry. Just a few decades ago tortilla chips were rarely eaten, but they gained popularity in the 1970s and now are as ubiquitous in Mexican restaurants as sombreros hanging on the walls and piped-in mariachi music. They are typically served with a dip such as salsa, guacamole, or lime jello, or turned into nachos. Tortilla chips are usually made with yellow or white corn, though blue and red corn varieties also exist. Beware the green corn tortilla chips: that’s just mold, amigo. You should toss those ASAP. For today’s celebration, Tara and I enjoyed a late afternoon snack of corn chips with salsa and queso. It doesn’t get much easier than that!